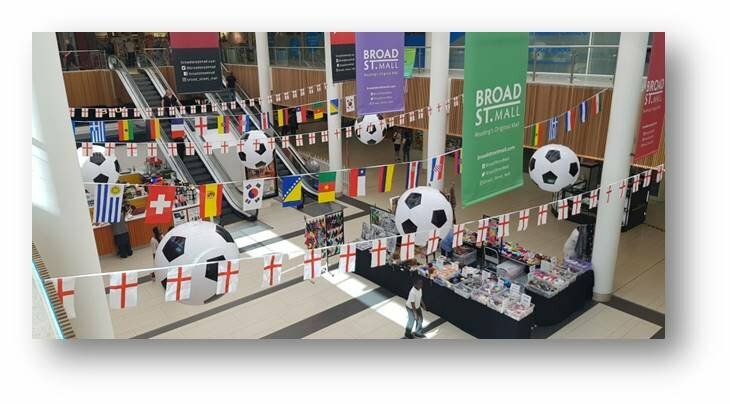 Football fever has set in at Broad Street Mall, with bunting and giant footballs decorating our central square to get you in the spirit of the world’s greatest football tournament. For three Saturdays in June and July, the centre will have an inflatable goal set up for a free-to-enter penalty shoot-out challenge. Each entrant who scores at least 2 out of 5 penalties gets to keep a Broad St Mall branded football, so come down and see if you can score yourself a free ball!